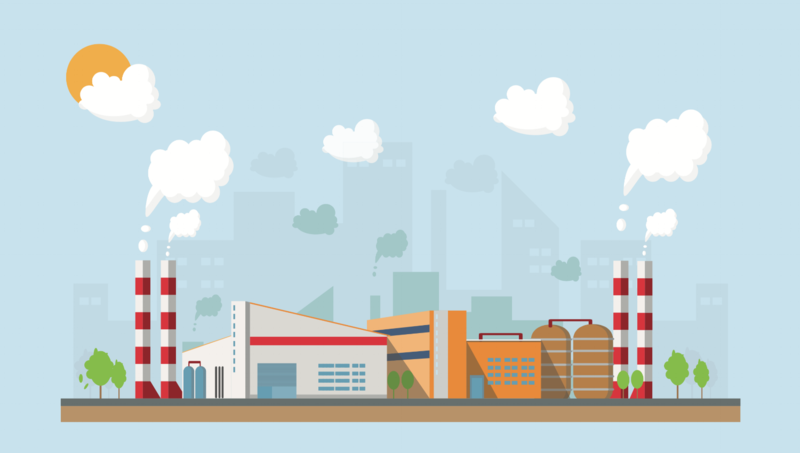 The manufacturing industry is highly competitive, and with more manufacturing companies using content marketing, it’s getting even more heated. According to a 2017 report from the Content Marketing Institute (CMI) and MarketingProfs, 82 percent of manufacturing marketers say more content creation is a top factor contributing to their increase in overall success over the last year. Content creation is one of the most important aspects of an inbound marketing strategy, which is proving to be the go-to approach to manufacturing marketing. Are you still stuck in the yesteryear of marketing? When it comes to manufacturing marketing, one of the most important aspects you need to present to your audience is your authority in the industry. This is where inbound marketing strategies come in. To build your authority, you need to prove to your audience that you are credible. Blogging is one of the best ways to flex your industry knowledge muscles. Research from HubSpot found that blogging yields amazing results. B2B companies that blogged 11+ times per month earned nearly three times more traffic than those that blog never or once per month. Blogging also brings in more leads -- B2B companies that blogged 11+ times per month earned about 3.75X as many leads as those blogging less than three times per month. Earn trust and credibility with your audience, which results in more leads. As you’re generating leads, you learn that not all of them are created equal. In fact, there’s a big difference in the quality of each lead, depending on how they heard about your organization. Outbound marketing, which largely consists of practices like cold calling and attending trade shows, just isn’t cutting it anymore. The 2018 State of Inbound Report from HubSpot found that only 16 percent of marketers say outbound practices provide the highest quality leads. 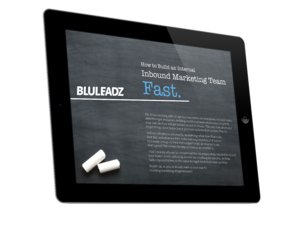 Why Does Inbound Bring in Better Leads? Because your audience finds you. It’s important to understand search intent when you’re looking at the inbound methodology. Your audience has a problem, so they ask questions and research solutions through a search engine. With optimized, high quality content that directly answers specific questions and provides important information related to your audience’s search, you can earn your way to a top spot on the first page of Google for their queries. The audience starts to identify your company as a leading voice in the manufacturing industry. Eventually, they convert to a lead who already trusts you. 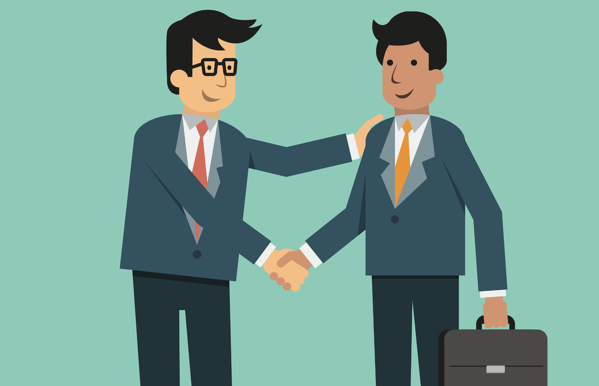 This trusting relationship you establish with your leads early on makes the sales process much easier. Another important aspect to consider when assessing your leads is the amount of resources you spent to earn them. The cost of generating a lead can be high. In fact, HubSpot’s 2012 State of Inbound Marketing Report found that the average cost per lead for outbound-dominated businesses was a staggering $346. This is significantly higher than the average cost per lead for those using inbound techniques, which was $135. Why are Inbound Leads Less Costly Than Outbound Leads? Outbound strategies like paid advertising can cost a lot of money upfront, especially when it’s run through mass media. Plus, outbound tactics are short lived. Inbound, on the other hand, continues to deliver results over time. While creating content requires a lot of time upfront, you can distribute your content regularly via social media and even repurpose and update previously published content. Unlike outbound tactics like direct mail, telemarketing, and tradeshows, inbound delivers long lasting value over time. Leads are great, but you don’t want them to be stuck as a lead forever. These leads should eventually become happy customers. When comparing an inbound lead and an outbound lead, the latter is far less likely to close. As HubSpot’s 2012 State of Inbound Marketing Report found, leads from inbound links are five times more likely to become customers than leads that come from outbound techniques. Why are Inbound Leads More Likely to Close? Because your strategy is targeted. You’re delivering content that is useful for your buyers at every step of the way during their decision making process. For example, you attract your audience with insightful content, like a blog post comparing types of high-nickel alloys. Then, eventually you convert visitors into leads by encouraging them to fill out a form to access your webinar on high heat specialty metals. By the time they’re ready to close, they trust you as a credible, authoritative voice in the manufacturing industry. Inbound marketing is not a new concept. Chances are, if you’re still mainly using outbound tactics in your manufacturing marketing strategy, you’re already falling behind the competition. A 2017 report from CMI and MarketingProfs found that a whopping 91 percent of the ‘most successful’ organizations were extremely/very committed to content marketing. Because you don’t want to be left in the dust, as your competitors start outranking you and impressing your target audience with their expertise. For example, your audience is researching you and a competitor. They find a blog on your competitor's website that teaches them about metal additive manufacturing. On the other hand, your website offers pricing and general information about your company. Your competitor is educating and empowering the audience with useful information, and you’re simply selling to them. Bottom line: in a competitive industry like manufacturing, you need to put your audience’s experience first. Consider what they’re looking for and how you can help. Deliver awesome content, and stick to the inbound methodology to stand out amongst the competition.